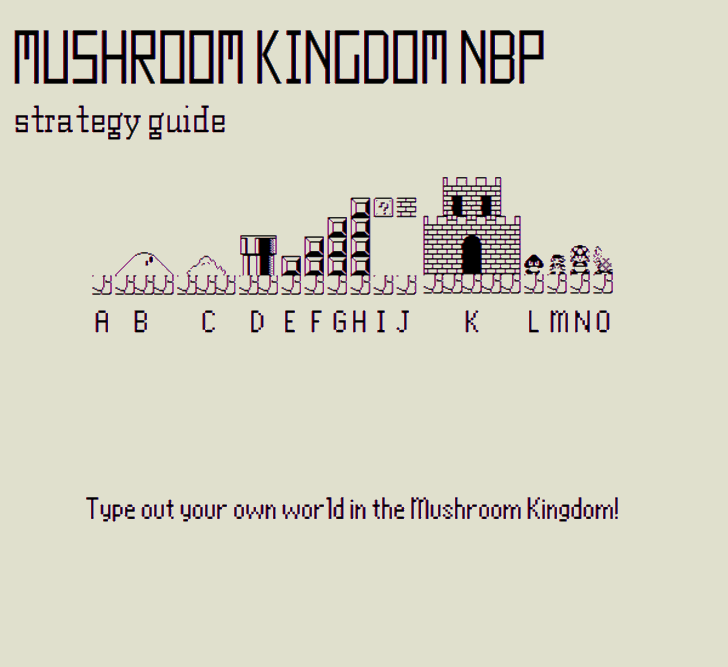 Type out a new world in the Mushroom Kingdom 1985-style with the font that inspired MARIO MAKER on WiiU*! 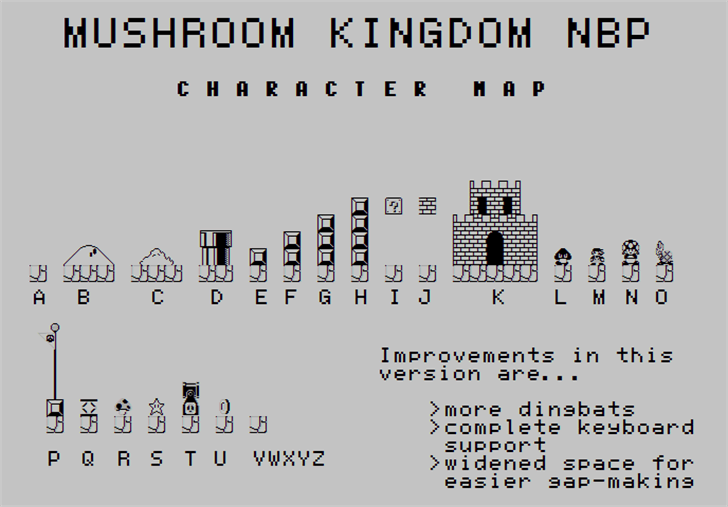 What was a work-in-progess is now finished with complete keyboard support, a few more dingbats, and widened spaces to make gaps easier. Oh my gosh this brings back countless memories!!! WELL DONE!!! It was just a random idea. Ah, this is awesome! Love it! This. Is. Awesome. 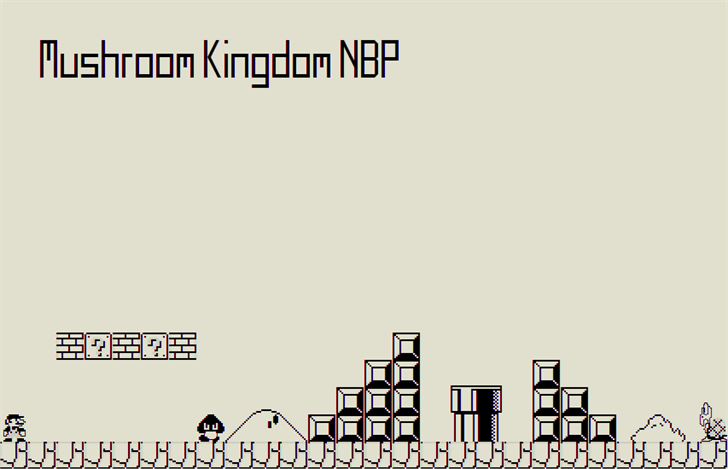 Added to my favorites for a future project or something - great job! Great job! But how about you remove the floor at the bottom and replace V with a floor at the top? That way you could put it under all the other stuff to make the floor where you want it! 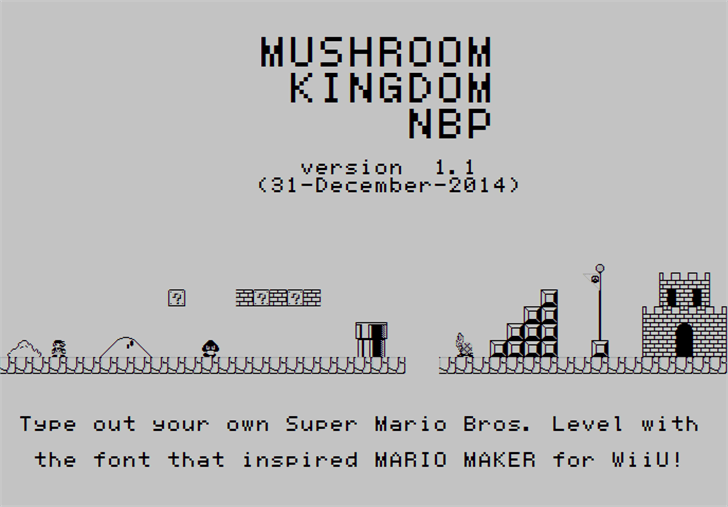 Mushroom Kingdom is part of the NBP Collection.